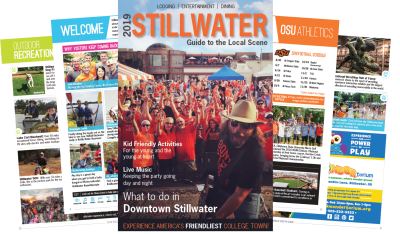 The 2019 Stillwater Visitors Guide is designed to provide a quick reference for individuals to easily plan activities while visiting America’s Friendliest College Town! 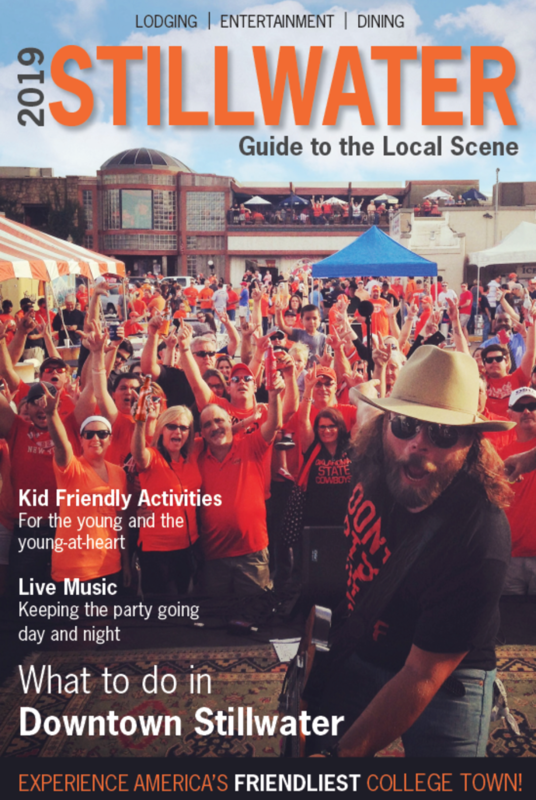 This year, the guide reads as a traditional lifestyle publication with an index of local hospitality industry partners categorized to easily scan Stillwater options at the back of the publication. Whether you are a life-long resident of Stillwater, temporary resident attending Oklahoma State University, or a first-time visitor to our community, you will learn something about Stillwater by paging through Stillwater’s only all-inclusive, information resource publication. 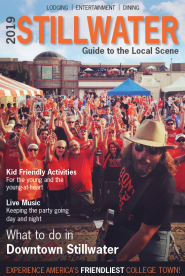 The 2019 Stillwater Visitors Guide is offered as a traditional print publication with a digital version available at www.VisitStillwaterOK.org. This year, a link was included from the digital version directly to advertiser websites, increasing their exposure to visitors. Over 100,000 copies of the Stillwater Visitor Guide are distributed extensively within the local market including lodging properties, meeting and event venues, dining establishments, museums, attractions, City of Stillwater Municipal Building, Stillwater Regional Airport, Stillwater Public Library, Stillwater Medical Center, extensively across the OSU campus, financial institutions, doctors and dentists offices, and to a majority of conference and event attendees throughout Stillwater and the surrounding areas. The Guide is also made available at each of the Oklahoma Visitor Information Centers and Big 12 Conference destination marketing organization visitor information centers. Through a long-term partnership with Certified Folder Display Service, North America’s largest professional travel brochure distribution and display service, the Stillwater Visitors Guide is also prominently positioned on display racks on location throughout Oklahoma, southern Kansas, and western Arkansas. Their display racks supply the traveling public with helpful information on things to see and do throughout the region. Demand for copies of the Stillwater Visitors Guide continues to increase annually in response to an aggressive digital marketing campaign, increased website traffic, social media interactions, inquiries made as a result of print and radio efforts, as well as maintaining two additional visitor information stands at the Stillwater Regional Airport in both the inbound and outbound terminals. Stop by the Visit Stillwater office at 2617 West 6th Avenue, home of the 24/7 Stillwater Visitor Information Center, to get your own supply of Stillwater Visitor Guides to distribute at your place of business.